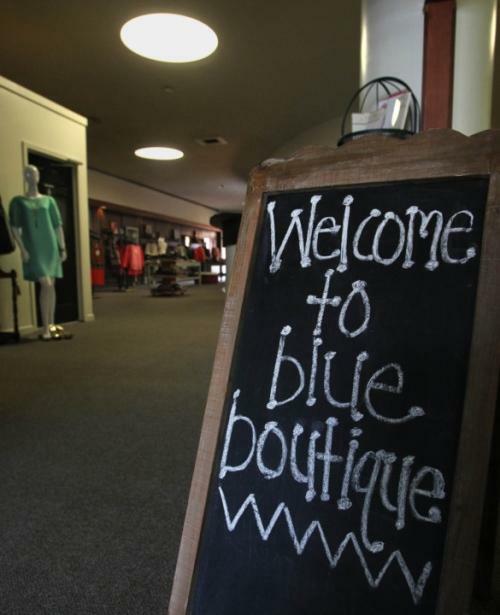 Blue Boutique, a Goodwill store with a different name, which stocks designer clothes with pricing similar to that of Goodwill stores, closed permanently January 28, 2017. Based on the performance of the Kent location, Goodwill decided to make the difficult decision to not renew the lease. Jennifer Bako, the Internal and External Communications Manager of Goodwill, explained the reason behind the closing. Goodwill is still optimistic the boutique concept will be successful in the area and has focused all efforts on their boutique location in Akron. They hope individuals will continue to support Goodwill by visiting Blue in Akron or their Kent Retail Store location. As Blue Boutique remained lots of purchases in the store, Jamie Hunter, Store Manager of the Goodwill Retail Store at Kent, said all the purchases would take back to the retail store at Kent. “Everything in the Blue Boutique is coming back to our store. Therefore, at the front of our store, we were setting up a Blue Boutique area. There was high-end fashion that might get a bit higher priced than regular clothes,” said Hunter. Most of the workers between the Blue Boutique in Kent and the Blue Boutique in Akron were flexing their time between both stores. There were two employees who decided to leave the agency when they knew their location would be closing. The employees of Blue were able to look at other positions with the agency, such as the Kent Retail Store or other retail locations if they were interested. “We sincerely appreciate the support of the Kent community. It is an area that continues to grow, and we are still a proud member of the community with our retail store off of State Route 59,” said Bako. Looking forward, the nearest Goodwill to Kent State’s campus will be located off of State Route 59.